Jakarta is the capital city of Indonesia and have five administrative cities. One of them is West Jakarta, which is bounded with Banten Regency. In Jakarta, you can find many entertainment, like shopping malls, culinary center, or historical tour. 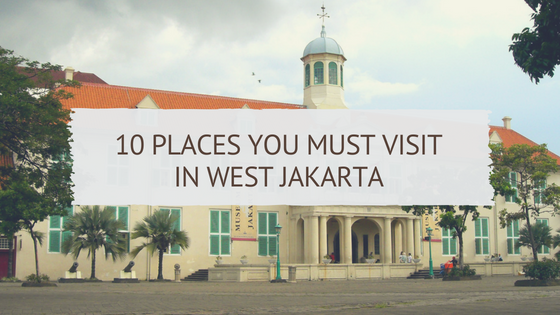 If you are confused about what you must do in West Jakarta, check out this list! 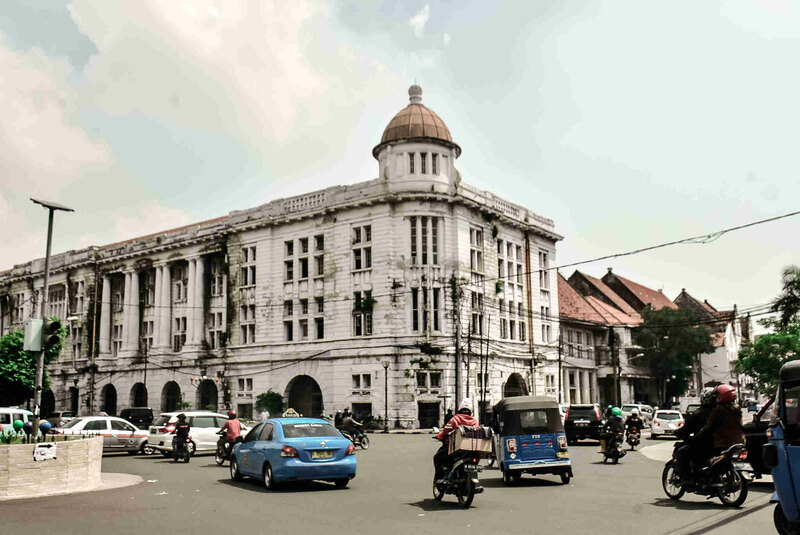 Jakarta Old Town, also known as Kota Tua, is the headquarters of VOC government a long time ago. Jakarta Old Town is a favourite destination during weekend for most Jakarta resident or foreign tourist. You can take as many photos you like with those old buildings, visiting the museum, food hunting, or just walking and enjoy the vibrancy. In Jakarta Old Town, you will find a few museums like Fatahillah Museum with underground dungeon, Bank Indonesia Museum with modern style and their collection of Indonesian money from time to time, Wayang Museum which has 4000 wayang puppetry collection, Museum of Fine Arts and Ceramics where you can find paintings and ceramics from many countries, and many banking equipment from the past in Bank Mandiri Museum. The museums in Jakarta Old Town is located in old Dutch building, so it has become a favourite place for pre-wedding photo shoot. In Textile Museum, you can find many collections of various Indonesian textiles. Not just that, you can also try short course to make batik in this museum. Located in Jl Aipda K.S. Tubun No. 4, Textile Museum is located in an old building which was built in the 19th century and have a large yard. If you are interested with batik, Textile Museum is a perfect place for you to try how to make it. Jakarta Chinatown is located in Glodok. Here, you will find hanging red paper lanterns, Chinese herbal medicine, and this place is also a perfect place for culinary hunting. If you love coffee, try Tak Kie Iced Coffee, this little coffee shop is established since1927. You can also find other Chinese foods around Tak Kie. The favourite place in Glodok is Bakso Adam, many people carving and queue for this meatballs. Make sure you come early for Bakso Adam because usually it will be sold out only 2 hours after they open! This famous shopping mall is located inside Podomoro City Superblock. Central Park Mall is very crowded during weekend because many people come here for family weekend or hangout with friends. The advantages of Central Park Mall is their Tribeca Park, a 1.5 hectare outdoor park where you can bring your pet or just sitting and enjoy the fresh air. Central Park Mall also have cinema, karaoke room, and many famous tenants. Not just an outdoor park, Tribeca Park have an open stage and dancing water fountain. In big event like new year eve, Central Park Mall usually held music concert in the open stage. Jakarta Aquarium is a marine suit aquarium located inside Neo SOHO Mall, a small shopping mall located right in front of Central Park Mall and also inside Podomoro City Superblock. You can say that Neo SOHO is a child of Central Park Mall and there is Eco SkyWalk from Central Park to Neo SOHO. Jakarta Aquarium is a perfect place for family weekend with kids. Your kids can see and learn about sea fish here. In Jakarta Aquarium, you can dive in a giant fish tank, sea-trekking, and watch an undersea performance. Jakarta Aquarium also has Pingoo Restaurant, an unique concept restaurants where you can dine and meet penguins. They also offers penguin feeding experience if you want to try it. Jakarta Aquarium and Pingoo Restaurant is owned by Taman Safari Indonesia, the largest safari park in Indonesia. Beside Central Park Mall, there is Taman Anggrek Mall. This mall has the largest sky rink ini Southeast Asia. The area is up to 1,248 square meters. 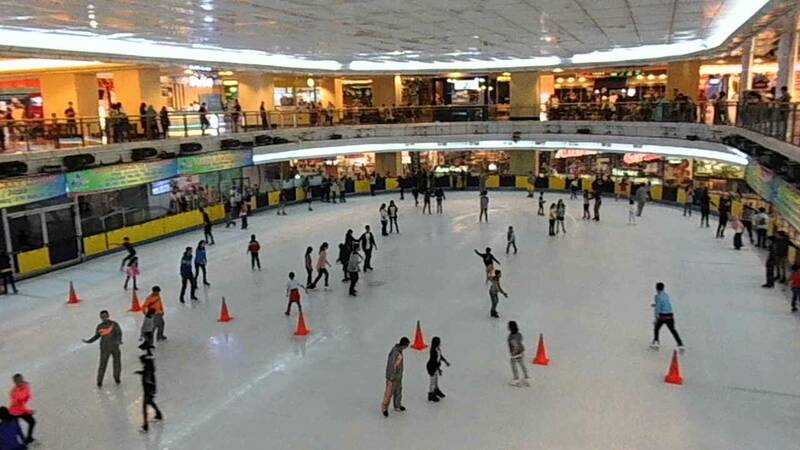 In Sky Rink Jakarta, you can play ice skating with your friends or take skating course with professional trainer. Do you want to be a professional ice skater? Located near Podomoro City Superblock, you will find Tanjung Duren area. This area is famous for its culinary center. You can find Chinese food, Indonesian food, Japanese food, coffee shop, and many more delicious food in Tanjung Duren. 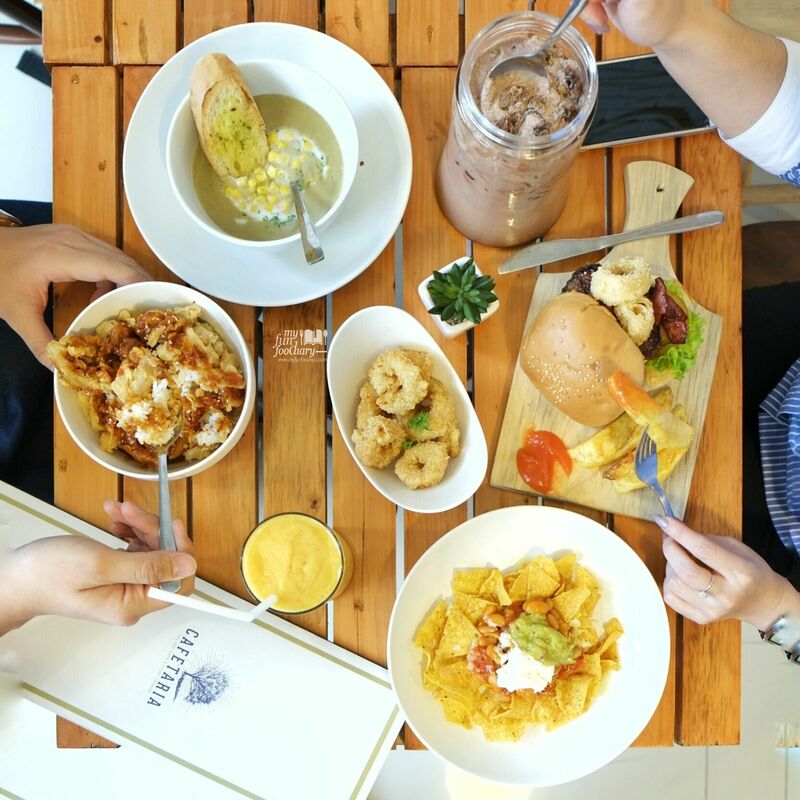 Tanjung Duren is also connected with Greenville, another culinary area for you to choose. 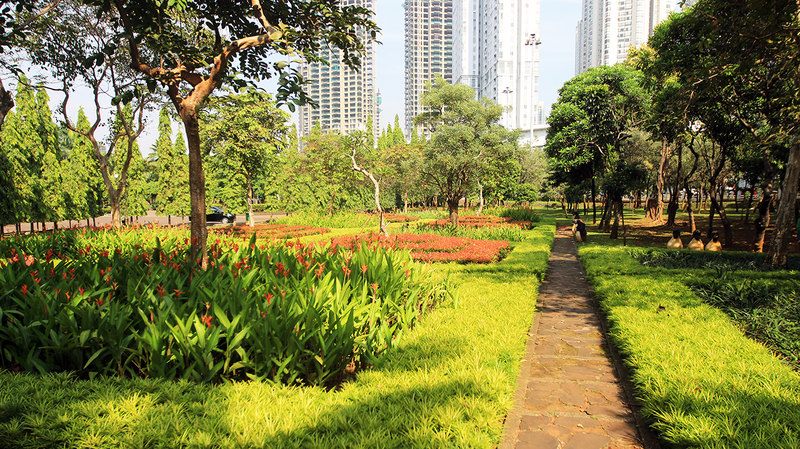 Jakarta has too many buildings, sometimes people need open green space to relax and enjoy the fresh air. Located Very close to Taman Anggrek Mall, there is Cattleya Park (also known as Tomang Park). As public park, you can freely enter the park and exercise with some simple exercise machines or just jogging. This park also often used for film shooting location. Want a bigger open green space? Try Srengseng Urban Forest. This conservation area has 15 hectare size. Not just jogging or walking, you will also find children playground, fresh lake, open stage, food and beverages stalls, and wall-climbing facility. Welcome to the gadget paradise! In ITC Roxy Mas, you can find many store selling smartphone, tablet, and many more at affordable price. You also can find a few official service center from Lenovo, Samsung, etc in ITC Roxy Mas.